Sr. Tee Ball Baseball is for boys and girls 5-6 years old, who have playing experience and are looking for a more advanced, structured experience. The intent of the Sr. Tee Ball Division is to take players from the Jr. Tee Ball division and prepare them for the next level of baseball. Teams begin practices in early-February and games on Opening Weekend in late-February. The season ends in early-May. Teams have practice twice per week, typically one on a weeknight and one on Saturday. Games are played throughout the week and on Saturday’s; game schedules will be made available in mid-February. Games typically last no longer than 1 hour and 15 minutes. Teams are formed in late-January to enable preseason practices. Registrations and coach availability permitting, we aim to place players on teams of no more than 12 players. The league provides a team jersey, pants and a hat for each player, as well a tee and baseballs. Players at this level need their own glove, bat, helmet, and will need to bring their own water, Gatorade, etc. to each game. Cleats are not required. Parents are strongly encouraged to become involved in this introduction level of baseball. 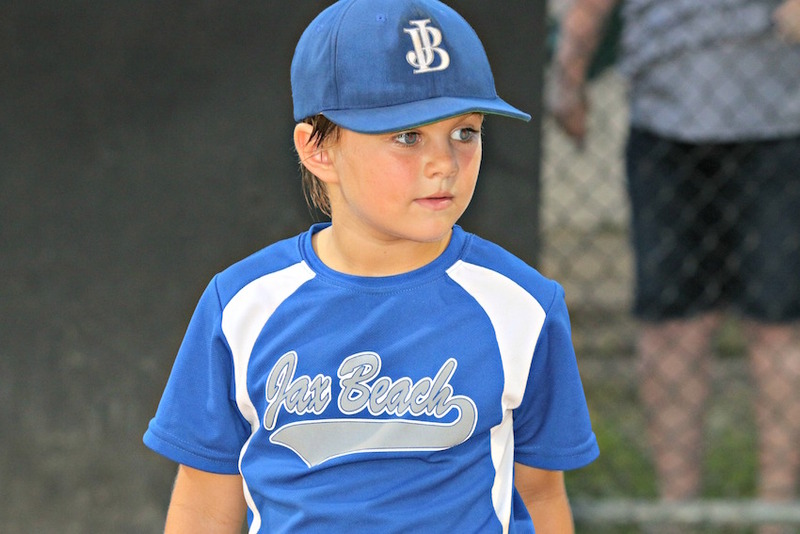 After completing a volunteer application and passing a required background check, parents may become involved in practices, and be eligible as coaches, managers, local league board members and other volunteer positions within Jacksonville Beach Baseball Association.